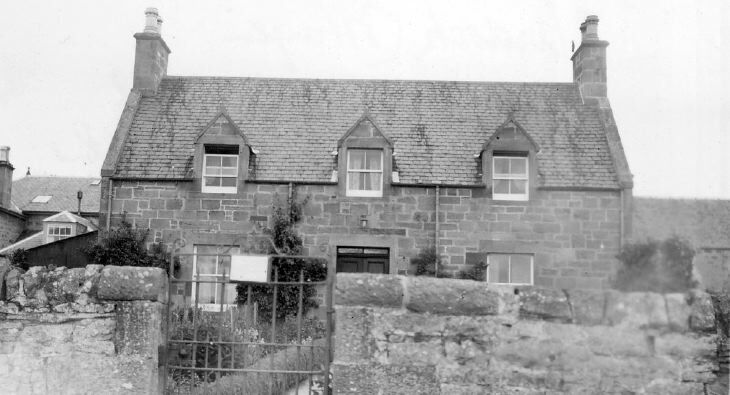 Dornoch Historylinks Image Library - 'Ardock Cottage Struie Cottage'. Monochrome photograph with album annotation in blue biro 'Ardock Cottage Struie Cottage'. From an album of postcards and photographs taken by Mrs J.I.C. Mackay of Dornoch and its surrounding area.